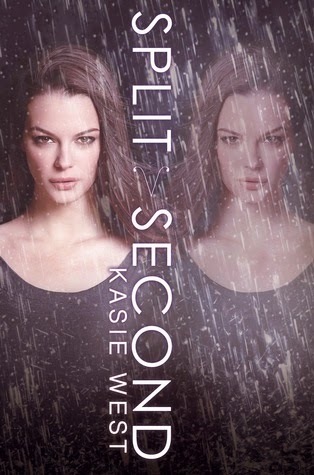 Split Second is the sequel to Whitney Award finalist Pivot Point, and it shifts the storytelling format a bit. In Pivot Point, Addie is the main character in both of the "possible future" storylines, told in alternating chapters. In Split Second, alternating chapters are told from first Addie's, then her best friend Laila's, point of view. I was surprised how easy it was to keep the two separate storylines straight in Pivot Point; in Split Second I struggled a bit to keep track of who was speaking in first person in each chapter, though the chapter headings were definitely helpful in that regard. At the end of Pivot Point, **spoiler alert! **Addie makes the choice to stay with her mother because the eventual outcome of the other choice would be too terrible for her to live with. However, she's still drawn to the life she didn't choose and, after the difficult fallout from her relationship with Duke, jumps at the chance to go visit her father outside of the Compound. In Split Second, I liked how West introduced Addie to some of the same characters she'd known in Pivot Point, but because of the different circumstances in which they met, their relationships were 180 degrees from what they would have been in the alternate reality. Good way to show some depth in supporting characters that otherwise can come across as fairly flat. Naturally, as one of two narrators, Laila is much more central to the plot this time around, but she also becomes a far more sympathetic character. We are privy to her frustrations with her father's addictions and her insecurities, including her deep regret over some of the events in Pivot Point. It's obvious that she loves her brothers dearly, but happiness is something that eludes her, and the longing for that feeling motivates many of her choices. Of course, both girls are also juggling romantic interests and, just to keep things interesting, Addie also starts developing additional abilities, believes her father has kept a deep family secret from her, and has run-ins with Compound security concerned that she is spilling secrets to her Norm friends. We do learn more about the Compound's practices and manipulations and I appreciate that bit of world-building. All in all, I thought Pivot Point was slightly stronger than Split Second, and while I'm not head-over-heels for this series, it's a solid addition to the genre.